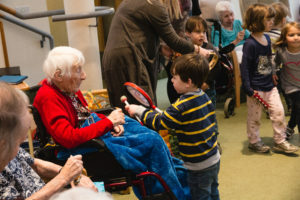 Bridgemead residents and day club members were delighted to welcome back Widcombe Acorns pupils after the Easter break. 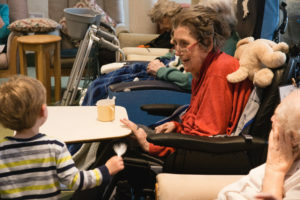 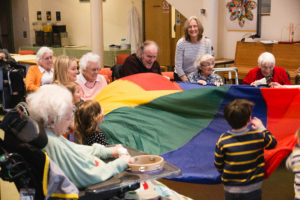 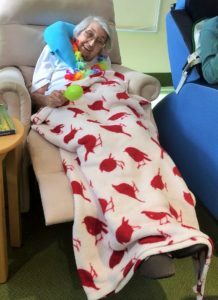 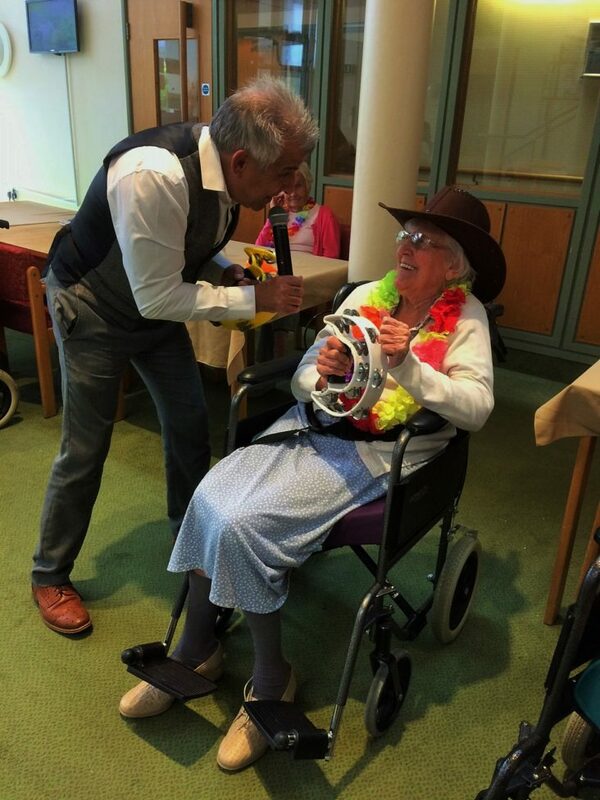 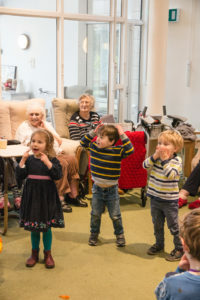 The 3 and 4 year olds enjoyed playing the old favourites, ‘Heads, Shoulders, Knees and Toes’, ‘Grand Old Duke of York’, ‘Bouncing Teddy’ and ‘Feather Tickling’ with the residents. 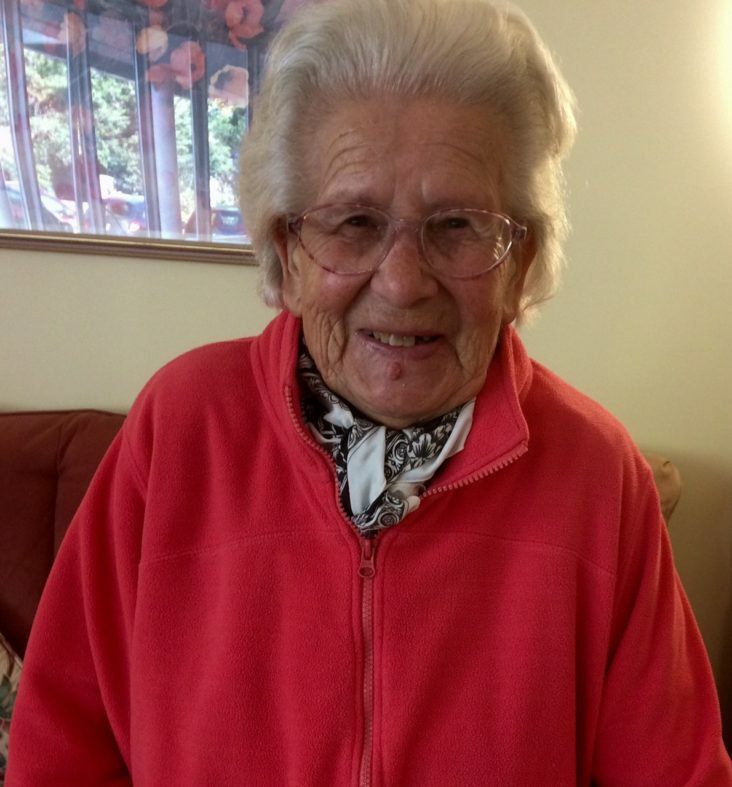 Bridgemead is so grateful to Dena Moore for taking her mini-bus license so that the children can come and visit. 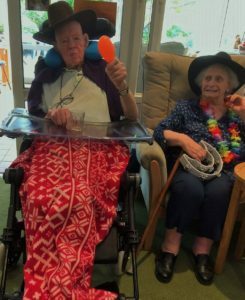 She said ‘It is nice for the kids to get out,’ and it was so lovely for us to see their enthusiasm and enjoy their laughter. 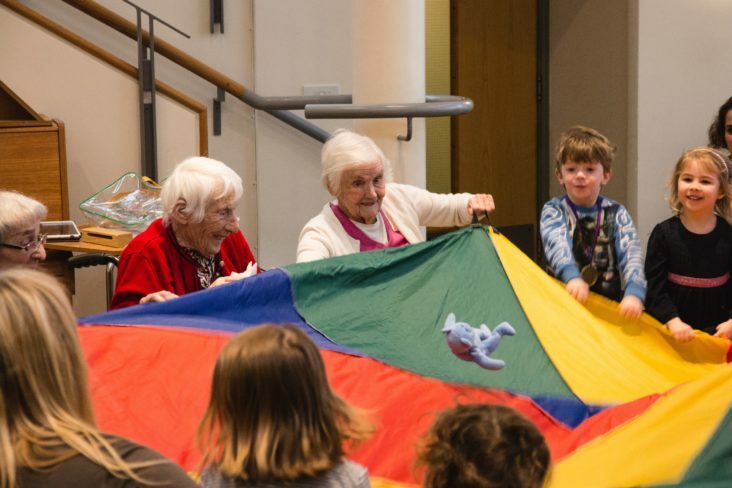 We look forward to their next visit! 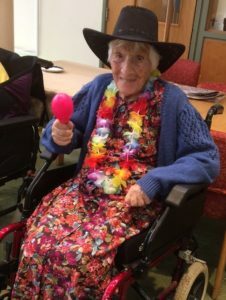 The flowers are all blooming at Bridgemead Day Club today. 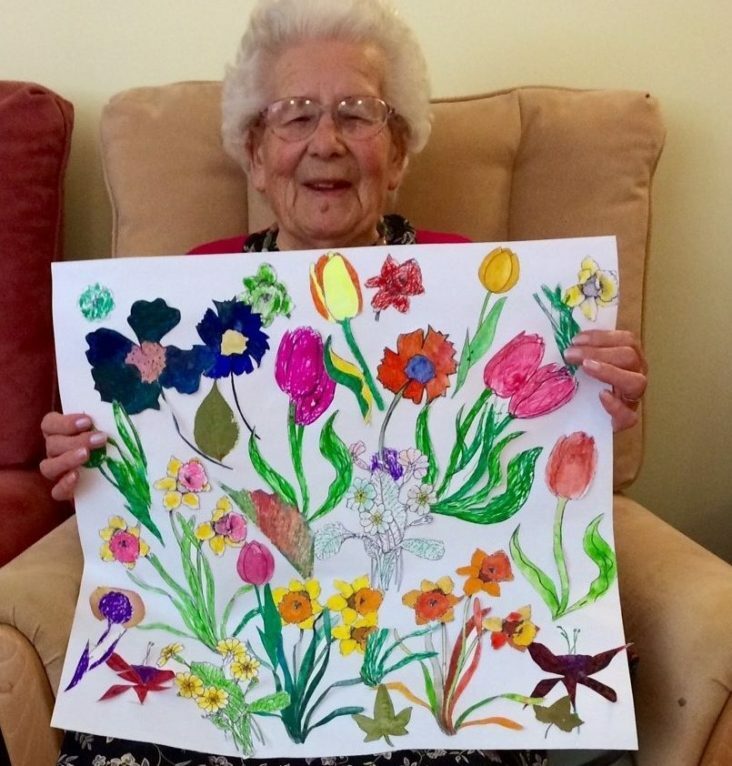 This gorgeous spring flower collage has flower templates painted and coloured by some of our Day Club clients and Bridgemead residents.